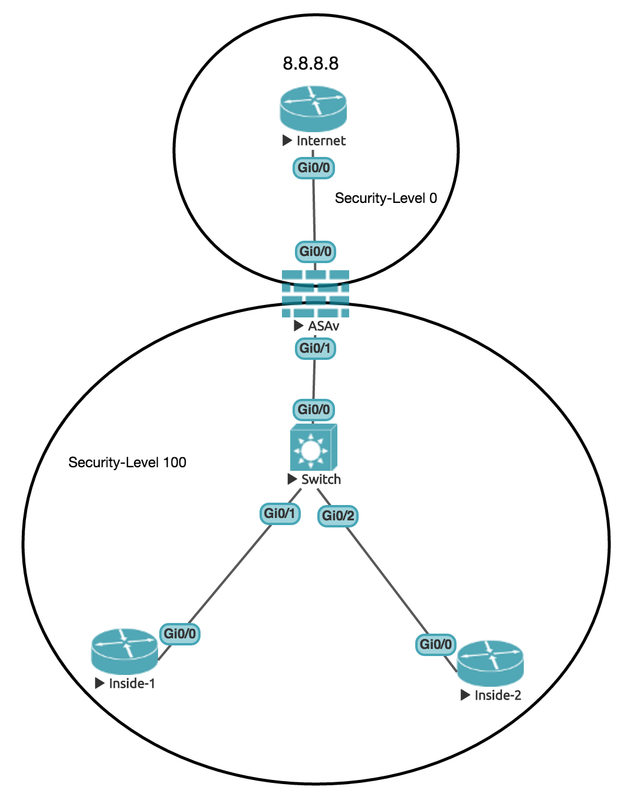 In part 1, we saw the effect of putting a firewall into an enterprise network. If you have not read that post then please read it before reading this one, otherwise somethings may not make sense. In the post we saw that we can go from higher-level interfaces to lower, but not from lower to higher, and this is all about the trust we put in our zones. In this part, we will add a DMZ to our network, and explain why we do this. We will also fix the network so that the Internet router can telnet into our network, but will be confined to the DMZ. Before we do this though, let's go back to a little theory and discuss the difference between stateful and stateless firewalls. 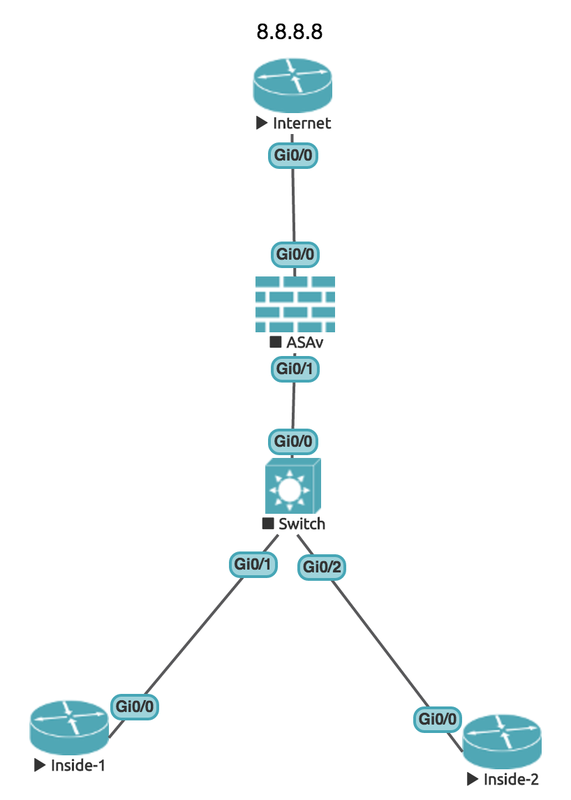 Our ASA is a stateful firewall. 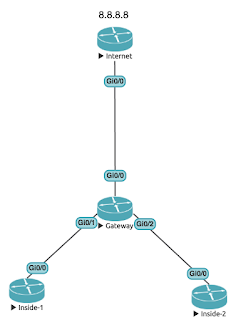 Stateful firewalls keep a connections table, and this is the users traffic. We can look at the traffic in a number of ways, just on the source and destination (layer-3), or we can go all the way up to layer-7 and include the protocol, and the ports being used. 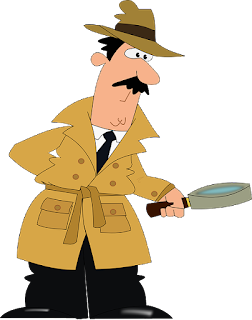 Stateless firewalls (which were the first type of firewall) just perform packet filtering, and are more like extended access lists. There is less intelligence with stateless firewalls. Each request is treated separately to the response. 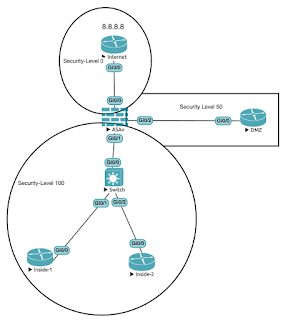 So we need to be much more careful with stateless firewalls, and make sure that for each outgoing ACL (Access List), we have one to allow the return traffic, instead of the stateful firewall, which adds more intelligence, and will dynamically allow the return traffic, if the return traffic is part of an existing outgoing connection. We saw this in the previous post, where we could telnet from Inside-1 to the Internet router, and the connection was set up, the return traffic was allowed through because of the stateful nature of the firewall. The firewall could see that the outgoing connection was set up, and the response was matched to this connection entry. Before we added NAT, we could allowed the incoming telnet connection (originating from the Internet router), because we knew exactly who Inside-1 was. We then implemented NAT, which hid Inside-1 behind the external IP address of the ASA (10.1.1.2). Now, with NAT, the Internet router will not be able to telnet directly to the Inside-1 router, as the ASA will not know to which host the traffic is destined for. 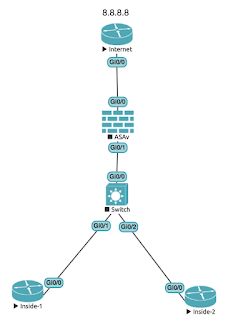 For this to work we would need to add another NAT rule, giving Inside-1 an external address, which can then be used by the ASA to correctly direct the traffic. However, this is really not the best design. Incoming connections should be directed to a DMZ (Demilitarized Zone), which adds another level of security to the network. So let's do this now. Notice that I have set a security level of 50. Security levels are all about trust. Our internal network got a security level of 100 (we trust it a lot), the Internet got a security level of 0 (we really don't trust it), but we do trust the DMZ, just not as much as the internal network, so we can set it to 50. As such we do not need to add one to permit traffic coming from the outside to the DMZ. But we did need to add the NAT rule. 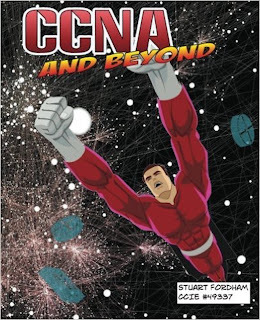 For more information on NAT, pick up the CCNA and Beyond study guide from Amazon, there are a lot of NAT exercises in there. Returning to the NAT rule we set up, instead of referencing IP addresses, we used objects. We can now reference this in our NAT or ACL statements, and this makes reading the configuration much easier (and keeps things cleaner). The downside to this is that it becomes harder to match ACL hits to an individual endpoint. If you have ten hosts within an object and a thousand hits on the ACL, it's hard to see which of these hosts are actually receiving the traffic. But this is just one of those things that you learn from as you go. Before we leave this post we should return to a bit of theory, and look at the order of operations that a Firewall goes through as traffic comes in, or goes out. The actual order of events is fairly similar, but changes depending on the direction of the traffic. The above is for traffic leaving the network, going from 192.168.1.10 to 1.1.1.1. In Phase 1, we look to see if we have a route to the destination, and this gives us our "egress" interface. 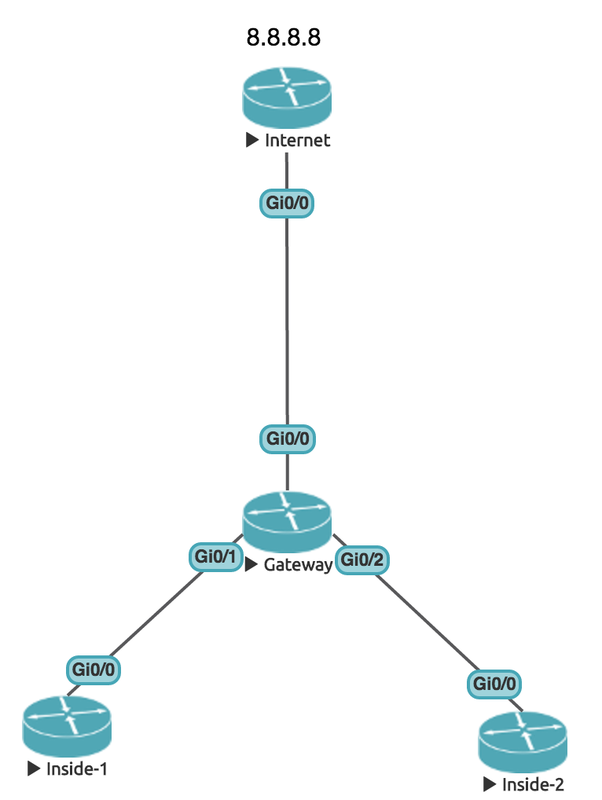 In Phase 2, we perform NAT, mapping our inside subnets to our external interface's IP address (10.1.1.2). 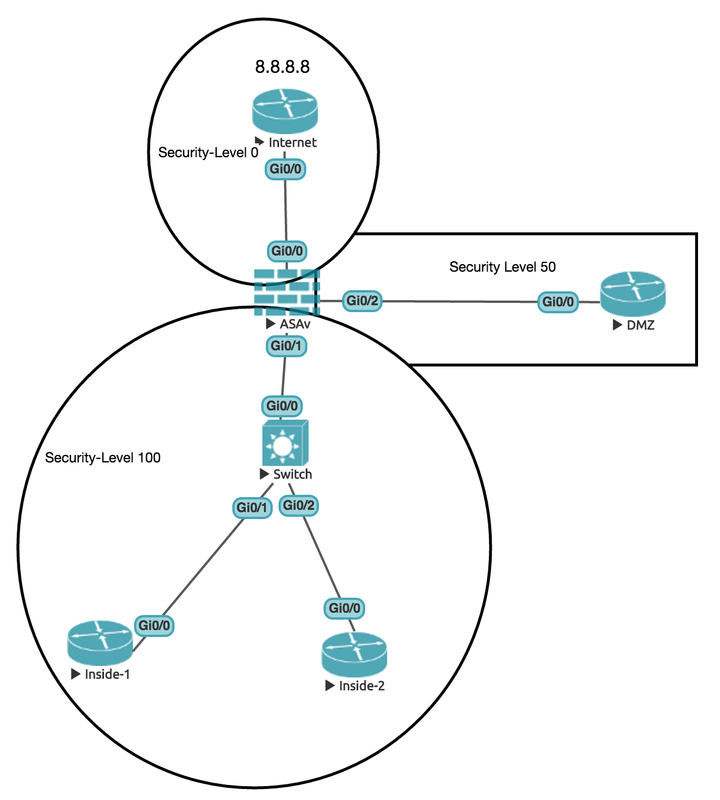 Because the type of NAT we are using is PAT (and again pick up CCNA and Beyond to understand more about PAT), this is setup and allowed in Phase 4. Phase 5 passes, because we have not implemented QoS (Quality of Service). Phase 6 is an additional check, called Reverse Path Forwarding, which means that we check to make sure that the reply to the traffic is going to come back through the interface we sent the original request out of. This helps eliminate routing loops, and general traffic weirdness. We have more QoS in Phase 7, which again passes, and we move on to Phase 8. Here we again set up NAT, but for the return traffic, you can tell this because it is for the "Reverse Flow". We have not set any IP options, so Phase 9 passes, and we move on to Phase 10. Here the flow is created, and we see that everything has worked. Let's look at traffic coming in now. The first step is to work out where the traffic is really supposed to go to, so in Phase 1 we un-translate 10.1.1.100 to 172.16.1.10. We then confirm that the traffic is permitted, and find a matching ACL in Phase 2. In Phase 3 we see that we are not doing any translation (or un-translation) on the source address of 10.1.1.1. In Phase 4 we allow the NAT, and again in Phase 5 and 6, because we do not have any IP options or QoS, the traffic is allowed. We again make sure that the traffic going out will match the interface that it came in on, by performing an RPF-check in Phase 7. In Phase 8 we pass the QoS, and in Phase 9 we set up the per-session NAT. Phase 10 passes because we have not set any IP Options, and in Phase 11 the flow is created. So here you can see the difference between incoming and outgoing traffic, where NAT is concerned. Whilst most of this is probably beyond the needs of the CCNA exam, this is the kind of skills you should pick up as you study. It will certainly help solidify knowledge of other areas. 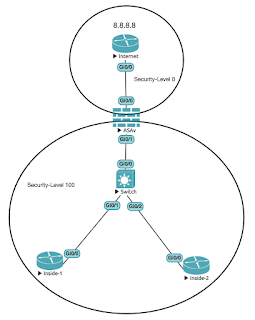 In the next section of this series we will discuss the different modes a firewall can be in, and these are routed (as we have seen here), transparent, and multi-context. I have made a little quiz. It is just over 30 questions, and it's all about numbers in networking. It is scored at the end, so you can try as many times as you like! I will be doing more of these, some will be easier, some will be harder.